We filmed this at the end of February in the south of England at a place called Camber Sands. Mainly for its otherworldliness and lack of earthly bodies. The last shot was a good idea at 2am drunk in a warm house, but a different matter on the day. I was shaking for 3 hours after. I guess it’s underlying theme is hide and seek, but the way in which you play it with yourself in your head. But I wouldn’t look into it too much. You can watch the “Misguided Light” video below. If you haven’t heard Dissolver, I previously described it as a “lightly psychedelic record that owes debt to early Brian Eno, VU, the C-86 scene, ’90s shoegaze…and yet doesn’t really sound like any of those things, specifically.” You can stream it in full below, too. 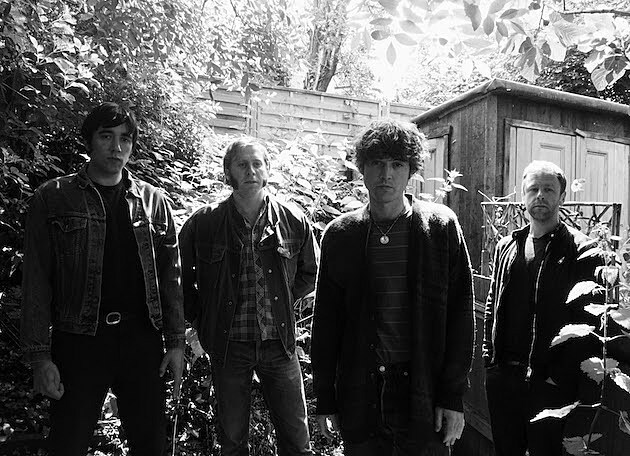 Younghusband will be in Austin for SXSW next week where they’re currently set for two shows. They’ll play the Under The Radar Showcase at Central Presbyterian Church on March 16 with Mass Gothic, TEEN, Car Seat Headrest, Eleanor Friedberger, Julien Baker, and Still Corners; and then the Sacred Bones & ATP Showcase at Hotel Vegas on March 17 with Mueran Humanos, AUTOBAHN, Exploded View (ft. Anika), Blanck Mass, and Lust for Youth. (The other stages at that Hotel Vegas show are Levitation-related). Unfortunately there are no U.S. Younghusband shows outside of Austin, but all dates are listed below.